The Beyonder (an all-powerful omnipotent being) is curious about Earth’s superheroes and villains, so he simply decides that he wants to see them battle it out in a no-holds-barred contest of power and will. He creates a new planet called “Battleworld” by taking pieces of other planets (which includes a suburb of Denver, Colorado, naturally) and mashing them together into one patchwork planet. That’s basically the premise of the entire series, and it’s great. The superhero team consists of the X-Men (Professor X, Storm, Cyclops, Wolverine, Nightcrawler, Colossus), Magneto (that’s right), The Avengers (Iron Man, Wasp, Hulk, Captain America, Hawkeye), the Fantastic Four, Captain Marvel, Spider-man, Spider-woman and She-Hulk. The villains consist of Dr. Doom, Galactus, Kang, Ultron, Doctor Octopus and some other lesser-known villains like The Wrecking Crew, Titania, Klaw, and The Molecule Man. The main storyline may be simple (good guys versus bad guys in all-out war), but the series does weave in some interesting sub-plots. 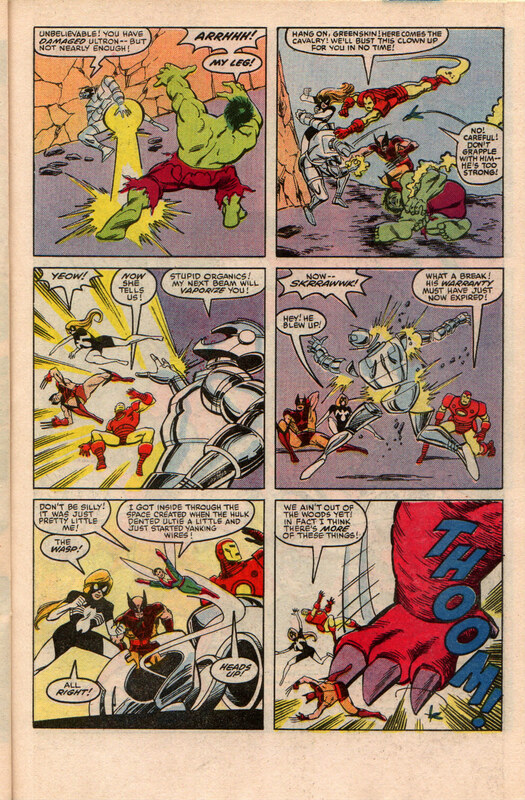 In one storyline, Colossus falls in love with an alien woman from a mysterious village pulled from somewhere deep in another galaxy, Magneto deals with an internal struggle of which side he should fight for, The Avengers and X-Men continue to have distrust between each other, and various villains have their own separate agendas, including the rise of Doctor Doom. These sub-plots all keep the storyline moving at a good pace, as well as make it interesting throughout the 12 issues. 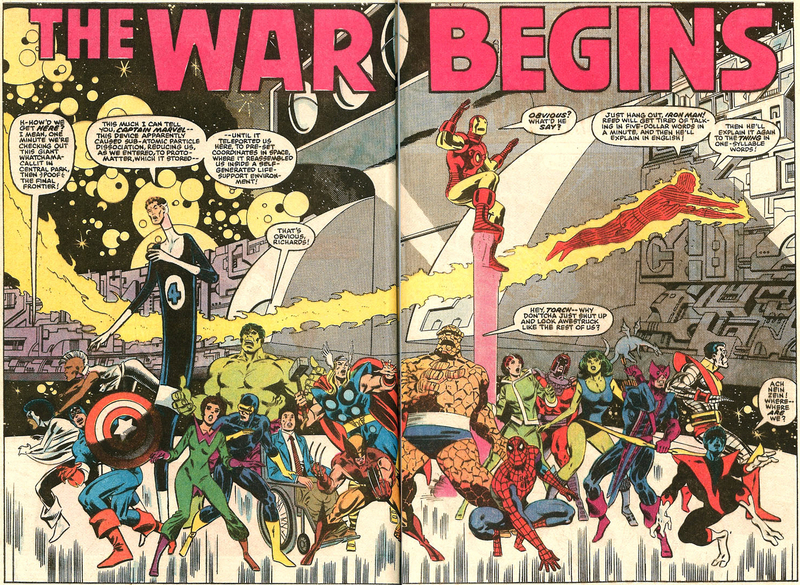 Secret Wars is a classic series that belongs in every comic book fan’s stash because it created the modern crossover event as we know it. It’s also historically significant because issue #8 brought us the first appearance of the black alien symbiote costume that would later become Venom. You won’t get any serious drama or high concept storytelling out of it, but it doesn’t try to give the readers that. This is a comic book series that doesn’t take itself too seriously, and relies on fun, old fashioned comic book battles. Who doesn’t want to see the X-Men take on Doctor Doom? Since this came out in 1984, you won’t be able to just stroll into any comic book store and buy the issues off the shelves. Thankfully all 12 issues are collected in a trade paperback, which you can get on Amazon for $23. You can also download the digital collection directly from Marvel for $20. If you’re a collector, all the issues could be found with a little bit of hunting at comic cons and back issues bins, if your store stocks them, or online at websites like eBay and Atomic Avenue. 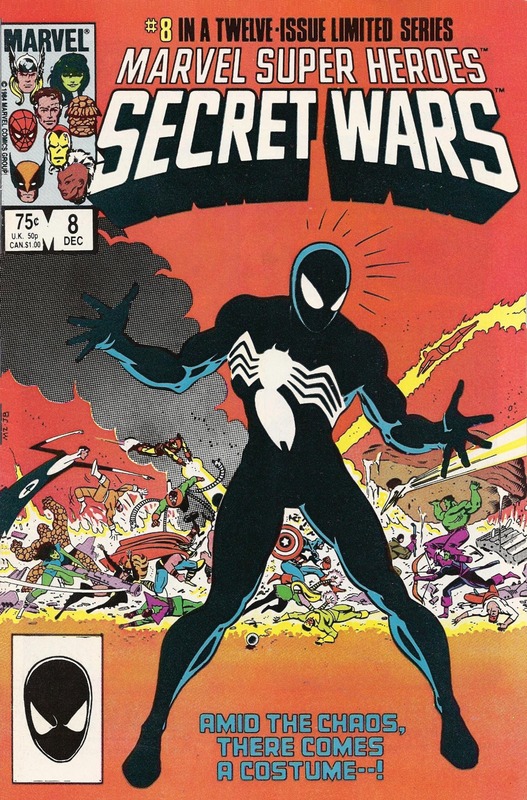 The hardest issue to find is #8, which is the first appearance of Spider-man’s black symbiote costume. Raw copies, depending on condition, can range anywhere from $25 to well over $100 for #8.